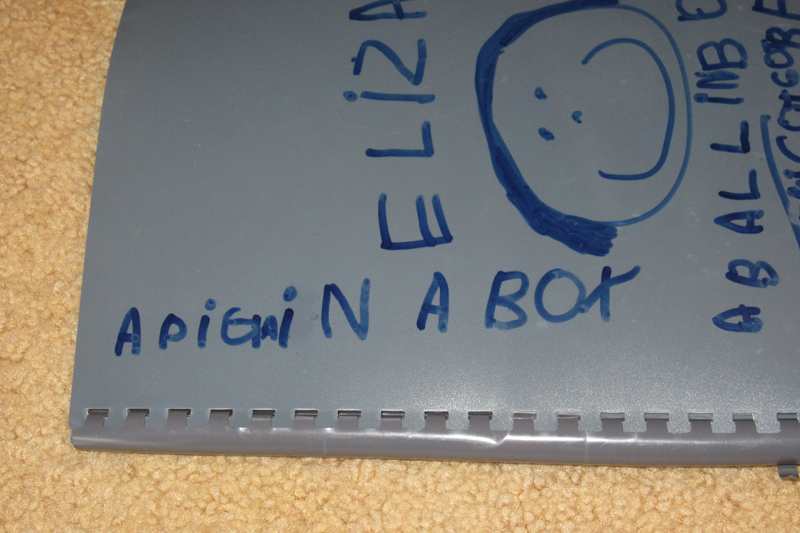 DangerousCrayon: "a pig in a box"
"a pig in a box"
Elizabeth's first sentence. 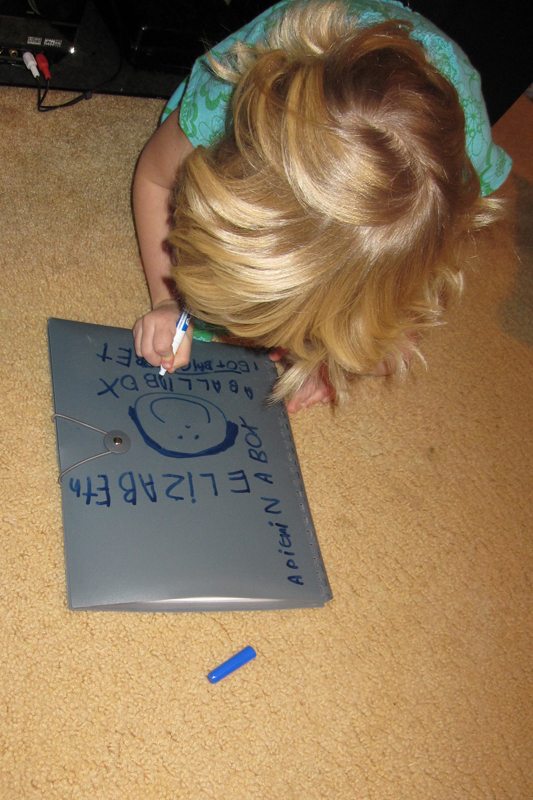 She spelled all the words her self, and made up the sentence all by herself. The "a" between pig and in was misplaced, and she didn't erase it. 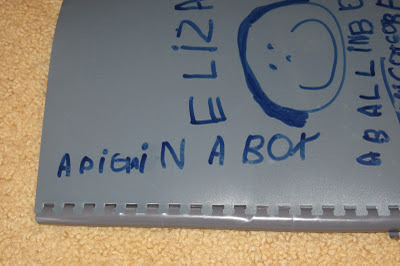 She also went on to write "A ball in a box"